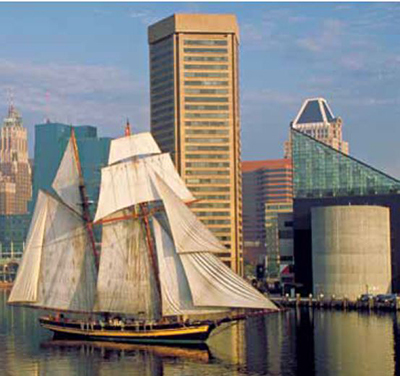 The Baltimore’s World Trade Center is Baltimore’s signature office building and the focal point of Maryland’s world famous Inner Harbor. It is an I.M. Pei designed, award winning 296,139 rentable square foot, 31-story pentagonal office tower built in 1977 and stands as the world’s tallest five-sided structure in the heart of Baltimore’s corporate, legal, financial and tourism center. Sitting on Pratt Street at the water’s edge of the Baltimore Inner Harbor and between the National Aquarium and the famous Harborplace retail plaza, each side and floor present unique and memorable views of the city and harbor. 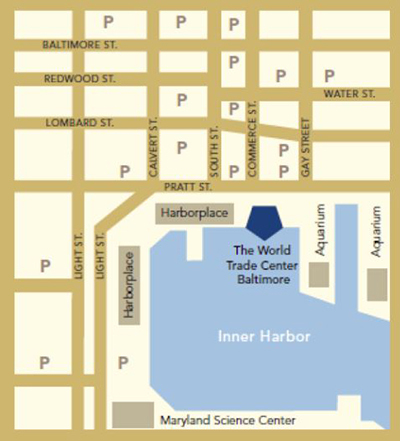 The Inner Harbor promenade, a 7.4 mile brick pedestrian path surrounding the harbor, passes through the building’s waterfront arcade and connects it to the surrounding amenities. The building’s Pratt Street address positions it within the “Pratt Street Boulevard,” a cluster of the most prestigious Class A buildings in Baltimore’s Central Business District. The Maryland Port Administration built the World Trade Center building in 1977. 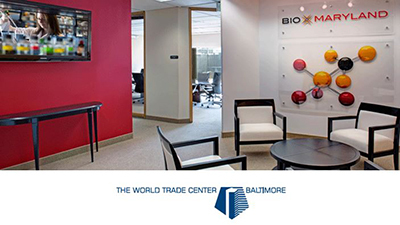 Since that time the WTC Baltimore has been the most sought after office building in downtown Baltimore. 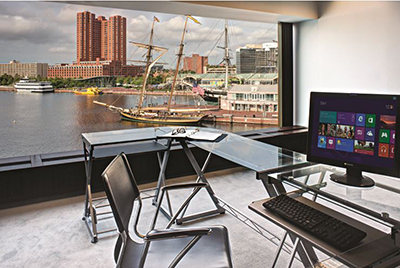 The only office building that sits on the Harbor WTC Baltimore boasts breathtaking views of the city. The building is currently on its way to being 100% leased. It stands as the focal point of the Baltimore Harbor and a new standard in safety, and sustainability. World Trade Center Towers has distinguished floor designs that provide flexible and efficient floor space. 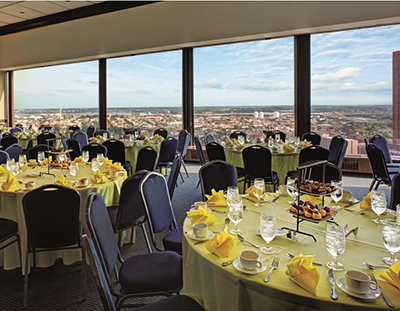 – The 21st Floor Conference Center consisting of 3 conference rooms available to tenants at a 50% discount plus cleaning costs for business related meetings. 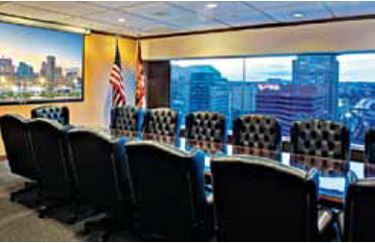 – One (1) Free Use of the Governor’s Room on the 21st floor for each year of your Lease for business related meetings. – Café on the 21st floor solely for the use by tenants and guests between 8am and 5pm. – ATM Machine on the 21st floor available 24/7. – 24/7 security and a programmable video recording and retrieval closed circuit television (CCTV) surveillance system (digital hard drive backup) with fixed or pan, tilt and zoom cameras are located throughout the building.